Generally speaking, I like to make everything from scratch, and I don’t eat treats very often. My food life is mostly built around protein, veggies, fruit, and coconut oil. But I’m not a machine, people! Sometimes I want to tear into a package that contains something delicious, that I didn’t have to make, and eat it like an animal. 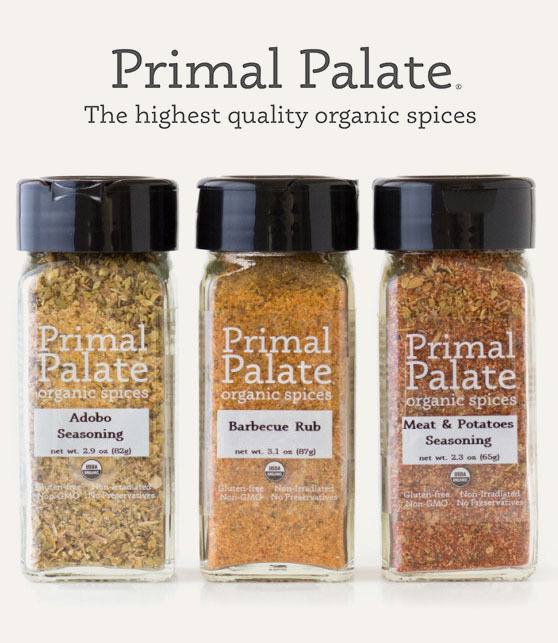 These are some of my favorite paleo-friendly products, in no particular order. Bonus! They’re all produced by good people, too. I love that. I should also mention that, although I probably got free samples of all these at some point in the past, they’re included on this list now because I genuinely like them, and if you checked my credit card statement, you’d see their names appearing there — perhaps more frequently than they really should. More than a snack, these qualify as a mini-meal, and are my favorite for on-the-go food needs. They’ve got everything you want in a balanced meal: grass-fed, sugar-free beef jerky; dried mango and cranberries; almonds and macadamia nuts. See? Protein, carbs, fat. No garbage, no joke. This is real food you can carry in your pocket. Satisfying and delicious. Whole30 approved. I don’t often eat paleo baked treats, but when I do, it’s almost always one of these scrumptious, 1-inch square bites of goodness from Goodbody Baked Goods. We have a bag of both the Vanilla Coconut Macaroon and Dark Chocolate Brownie in our freezer right now. Just one piece really does the trick when I want a little something sweet, and the ingredients can’t be beat: almond flour, coconut nectar, coconut oil, nuts, sea salt. Read my previous review. YAWP! Bars have become my go-to when I want to recreate that feeling of Sunday morning tea+scone action. Since that doesn’t happen anymore, I brew a cup of Rooibos Earl Grey and break out a YAWP! bar instead. It’s just the right amount of sweet and crunchy, it’s got a very satisfying texture, and it’s packed with powerhouse nutrition. Like Primal Pacs, these are also a great nutrition band-aid for airline travel and other snacking emergencies. Read my previous review. Chomps win my award for “Best Impersonation of Adored Junk Food by a Real Food Product.” I ate Slim Jim’s like it was a hobby when I was a chubby kid, and I couldn’t be happier that Chomps remind me of those crispy-skinned meat sticks. Perfectly spiced with completely clean ingredients, these little guys are great for a quick protein infusion. Read my previous review. I am very lazy and I like routine, which means I don’t buy my meat from local farmers at the farmer’s market every weekend. Instead, I go to yoga on Saturday mornings, then eat breakfast with my husband Dave at the Tex-Mex joint that is a 1/4-mile walk straight down the street that’s outside our front door. Lucky for me — and you! 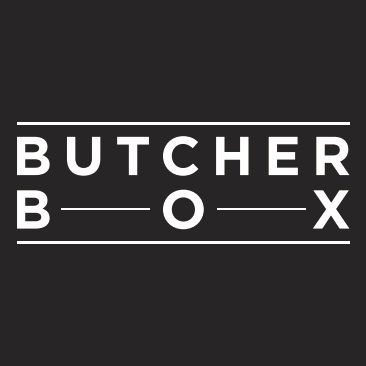 — there is wonderful grass-fed, pastured, hormone-free, totally awesome meat to be had by ordering online. I spread my orders around among the four companies listed here because their meat is top notch and they’re all good people, too. Who wants to buy meat from villains?! No one. No one want to buy meat from villains. Read my previous reviews of TX Bar Organics, Tendergrass Farms, and Lava Lake Lamb. I love snacks that are available in bite-sized versions — it’s like they come with built-in portion control, and they’re perfect for just-one-bite sweetness — and I love indie people who go their own way. Talio bites are both of those things! Produced by Uncomplicated Foods, Talio bars and bites are made fresh every weekend and shipped once a week. The ingredients list reads like Larabars, but I like Talio more: they’re less sweet and come in unusual and tasty flavors like “Taste the Tahini” and “Double the Coconut.” Sweetly satisfying without waking up the sugar demon. If you have Well Fed or Well Fed 2, you know I’m all about making my own spice blends and salad dressings. But as I mentioned in #5 above, I can be lazy sometimes. And that’s why I love Tessemae’s Dressings. They’re made with the same ingredients I use to make dressings and marinades, but I don’t have to make them myself. See the beauty there? Also, there’s this (aka, cutest family ever). Whole30 approved. I’m not afraid of fat or white potatoes, but I truly believe that canola oil is the work of the devil — and every chip bag at the store lists canola oil, or worse, in its ingredients. But rejoice, friends! Jackson’s Honest Chips — available in Sea Salt, Salt and Vinegar, and Sweet Potato varieties — are cooked in coconut oil. And the ingredients list? Look: organic non-GMO potatoes, organic coconut oil, sea salt. Just like you’d make them yourself, if you had the wherewithall to fry your own damn chips. WHO WANTS TO DO THAT? Just buy some Jackson’s. A spoonful of Nikki’s is like indulging in a bite of unbaked cookie dough: tender, slightly sweet, creamy. 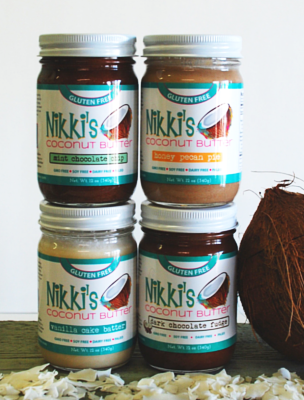 But here’s the clincher: Nikki’s is low on sweeteners and made from our good friend coconut. YAY! I like to eat it straight from a spoon when I want a little something sweet. You could be civilized and spread it on fruit, if you want – or try some of these recipes for treats. Read by previous review. It seems like a crazy thing to miss, but sometimes all I want for dinner is a bowl of cereal. You don’t have to cook it. It’s comforting. It’s cold and crisp — and you can slurp the milk out of the bowl. Or… you can if you’re not paleo. (Dear Shredded Wheat, I still miss you.) But then, there’s Paleonola and Nutcase Crunch: grain-free, low in sugar, and packed with crunchy nuts and coconut. Add coconut milk and you’re good to go. Read my previous reviews of Paleonola and Nutcase Crunch. Turn it up to 11: Sunbutter. Before I made the switch to paleo eating, peanut butter was always in my kitchen cabinet. Now, Sunbutter — creamy, smooth, luscious butter made from sunflower seeds — has taken its place. The best part of nutbutter for me is the irresistible things you can make with it, like Cold Sesame Cucumber Noodles, the Elvis Burger, Sunshine Sauce, Paleo Pad Thai, and the SB&J Burger — plus Sunny Day Strawberries and West African Chicken Stew from Well Fed 2. Plus… 12 and 13… ’cause I couldn’t resist. I should also mention that I also really love Pure Indian Foods Ghee and Red Boat Fish Sauce for cooking. OK! Those are mine. Did I miss anything? What are your favorites? Sidebar: I want to consume all of the things you posted. All. of. the. things. Yes! I just discovered these last week and they are amazing. The caramel sea salt flavor even uses coconut sugar, so is as paleo as possible. Of course, it’s not an everyday thing, but when I’m craving sweet and a little junky, it’s nice to have an option that won’t take me down a path of bad choices. I just make my own of those. So easy! I prefer MaraNatha’s sunbutter. The only jar of Sunbutter I can find without any added sweeteners also omits salt which, to me, just tastes bad. Whereas MaraNatha’s sunbutter is just roasted sunflower seeds and salt and is amazing and also not expensive. It’s amazing how just adding salt makes it so much better. I also really like Hail Merry’s macaroons. Similar ingredients, perfect little portions. I clicked on this post so fast your head would spin. While I love making everything myself, my schedule can be cray cray, so having these convenience items just helps SO much. Seriously, even if they’re not made from my own kitchen. rickaroons are pretty awesome! (rickaroons.com). Can’t remember where I found them but they are so good! Proud we make your awesome list! 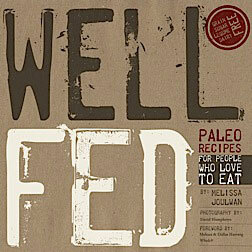 This ought to be required reading for everyone going paleo. Thanks for including us ~ as as a fellow cook, thanks for the reminder on your Pad Thai recipe. We love that one ’round our house, so it’s time to make it again! Take care. While living in Alberta, Canada has many benefits, having access to any of the products on your list isn’t one of them. Sunbutter has sugar in it and it’s expensive. I buy raw sunflower seeds from Trader Joes, one pound for $1.99 and process them in the food processor, it takes some time and frequent scraping. And if it turns out too dry add some oil and salt:)My budget will not allow all these things. I found the fish sauce at a local oriental market for a great price! Eating costs so much as it is I can’t imagine your grocery budget. I <3 Nikki's too! I put it in my coffee. Yum! And Tessemae's cuz like you said sometimes I'm just too lazy to make dressing. I have a version of sun sauce I really like that includes both sunbutter and Red Boat. 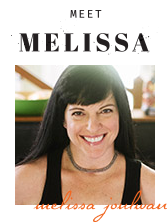 I'm super intrigued by your 2 burger recipes with sunbutter….never would have thought of that!! This dressing is my favorite! Thanks so much for the list! We are doing a sight-seeing road trip in June and I’m trying to compile things for the car & emergency snack situations. We always take our own food, a crock pot & freezer to crock pot meals, but I definitely need some help in the snack area since we will be on the road so much! The organic version of Sunbutter (green lid) has no added sugar or salt. I love this list!! 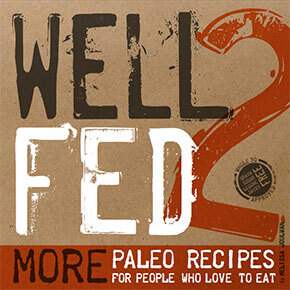 I also love Paleo Wraps, like a lot, and Capella’s frozen pasta for when I’m totally missing pasta. It has that perfect al dente texture. SO darn expensive though. Coconut Bliss ice cream is on my top ten! 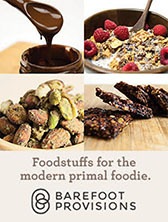 I love Primal Pacs, Chomps sticks, Red Boat Fish Sauce, and Pure Indian Organics ghee. The rest are new to me to try, so thanks for the tips. I do love RX Bars, too, especially the coconut and the coffee flavors. Just wondering, have you tried the Good On Ya bars that U.S. Wellness meats offers? The super hero bars sound good, but I haven’t tried them yet. In the UK we don’t have these products, but I am a big fan of NKD Bars which I keep handy for snacks. I’ve also just found a protein http://www.bulkpowders.co.uk/beef-protein-isolate-97-hydrobeef.html that I like to take after exercise – much better than whey powders which have a high dairy content. 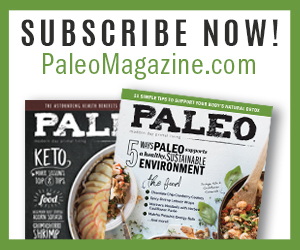 A paleo no-no! You helped me to eliminate system stressors and introduced me to Mark’s daily apple. I am feeling good! I am not boated and my acne/rashes are FINALLY healing. Thank you for everything! Oh, and helping me find the missing piece which was eliminating CORN! I’m so glad you found me — and that you discovered the other grain(s) that’s causing you trouble. That’s awesome! Wishing you continued good health! Are the YAWP bars Whole30 compliant? I tried them after I read your review and I love them. From reading the ingredients it looks like they would be Whole30 okay. That’s a great question! I’m not sure… the ingredients are all clean and on the approved foods list for Whole30, so it really comes down to if they might set off old, negative eating habits. Since YAWP bars have far less sugar than Larabars, I would think they’d be OK — but again, as a snack/emergency food, not every day food that takes other things off your plate. Right now I am loving EPIC bars – 100% grass fed animal based protein bars that comes in beef, bison, lamb and turkey. Only the bison has added sugar, I believe. Great for on the go. And a plus – based in Austin! Date Me and Wake Me bars from wholeme.com! YUM!!!!!! It is really rich and tastes amazing! From Kelly R’s recommendation I went to http://www.wholeme.com and ordered the variety pack (dateme bar, wakeme bar, eatme cereal) and it was DELISH! The almond cereal with coconut milk and blueberries for paleo cereal! Yum! Just discovered the Jackson’s Honest Chips this past weekend myself. They are great when you need a little crunchy salty goodness.